The Fine & Country Foundation’s autumn grant programme awarded the King’s Arms Project in Bedford £350 to provide two Christmas dinners to their clients. Find out how your generosity helped the homeless and vulnerable people of Bedford to enjoy the festive period with our grant update below. The first meal was served at the Friday Night Meeting and welcomed 61 guests. They each received a Christmas meal, along with a gift bag of presents. This event was hosted in the Guild House in Bedford Town Centre. 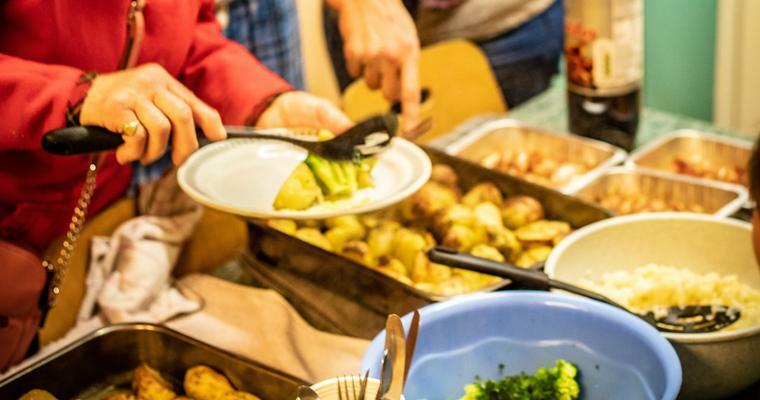 The King’s Arms Project hosted a second Christmas meal at their Nightshelter on Christmas Day. The Nightshelter provides 18 emergency bed spaces for rough sleepers and homeless clients. 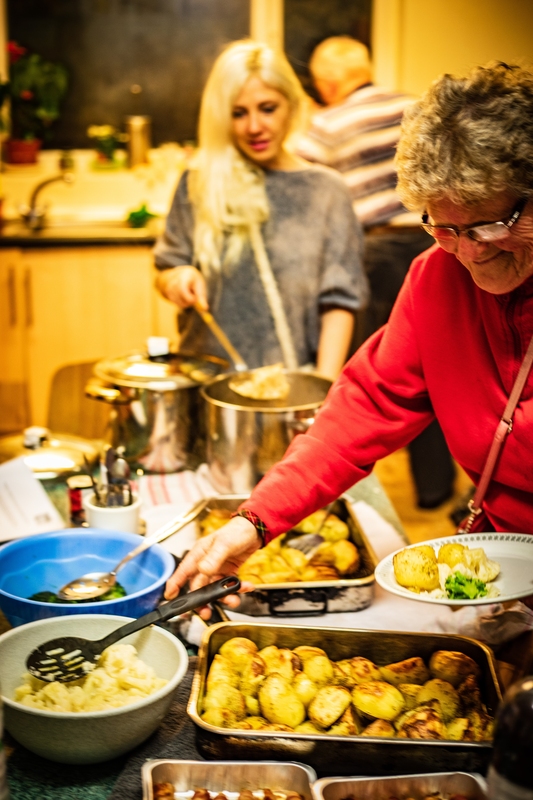 Similar to the Friday Night Meeting’s Christmas dinner, this meal was prepared by a team of volunteers. Guests were given stockings full of presents donated by the local community. Some clients have not received presents for as long as 20 years; the impact of something many of us take for granted was phenomenal. Steve Westwood, Fundraiser Officer for King’s Arms Project said: “Thank you very much for the support of the Fine & Country Foundation which helped us provide Christmas meals through our weekly outreach meal and Nightshelter services. Our volunteers were able to serve over 75 meals directly to the homeless and disadvantaged. We were also able to provide Christmas gift bags and stockings for our clients to enjoy practical gifts and nice treats! “In 2019, we will continue to move forward with these services. We have recently extended our referral network to provide more routes into safe and supported accommodation, including the development of our dedicated accommodation for migrants with no recourse to public funds. This has 12 bed spaces currently available. This client received support from the Nightshelter over the Christmas period a few years ago. Since coming to King’s Arms Project, the client got clean and remained off the streets. Anonymous said: “My relationship with my wife had broken down as a result of my heroin use. I quickly found myself homeless and spent a few nights sleeping in my car. I arrived at the Nightshelter that morning feeling alone and upset. I knocked on the door and explained my situation and they suggested that I return that evening and try for a bed. “I was asked if I was hungry and was invited inside for a special cooked breakfast. My welcome was so warm and loving. I felt amazingly grateful. The staff and residents are caring and supportive. I was not judged for the mistakes I made, but helped and advised. The Fine & Country Foundation ensures that every penny you donate goes directly to an important homeless cause so you can see the difference that your generosity makes. For more information about the charities supported by our autumn grant programme, please click here.